We are always excited to hear about Screen-Free Week events hosted by public libraries. Not only do libraries encourage reading, but they also serve as important gathering spaces for all members of the community. So when we heard about how Tiffin-Seneca Public Library in Tiffin, Ohio, had organized a successful Screen-Free Week 2018 celebration, we had to ask them how they did it. Many thanks to Becky Oswalt for sharing Tiffin-Seneca’s Screen-Free Week story with us, and a big thank you to librarians Trinity Lescallett, Lori Hodkinson and Connie Cole for organizing Tiffin-Seneca Library’s Screen-Free Week last year. Tiffin-Seneca Public Library decided to celebrate Screen-Free Week in 2018 because we understand the harmful effects of excessive screen time on people of all ages. Helping families become more intentional at putting down their devices and inspiring them to think of ideas for screen-free fun all year long seemed like a win-win situation. So, in March 2018 we formed a small committee of staff members to help plan a full slate of activities for Screen-Free Week. Offering a daily activity or event during Screen-Free Week seemed like a good way to help families meet their pledge to go free of screen entertainment for the week, with the added bonus of bringing together families who were all trying to accomplish the same goal. We decided to host an informational session the first night of the week to educate adults and school-age kids on the effects of excessive screens. The program, Digital Detox: Family Edition, used slides, research, statistics, and helpful tips. The program acknowledged the negative psychological, social, and cultural impact of spending more than half of our waking lives in front of a screen, and offered ways to make it easier to put down the screen. It was also an opportunity to encourage attendees to consider making a screen-free pledge of some kind for the week. On Tuesday night, the library set out board games all over the library for families to enjoy on their own time. Crafts and coloring projects for all ages were available around the library on Wednesday evening. We put on an “Are You Smarter than a Librarian?” trivia contest, pitting families against our librarians on Thursday. On Friday and Saturday, we stuck with two of our regularly scheduled programs to highlight some of the fun screen-free activities that we offer year-round. 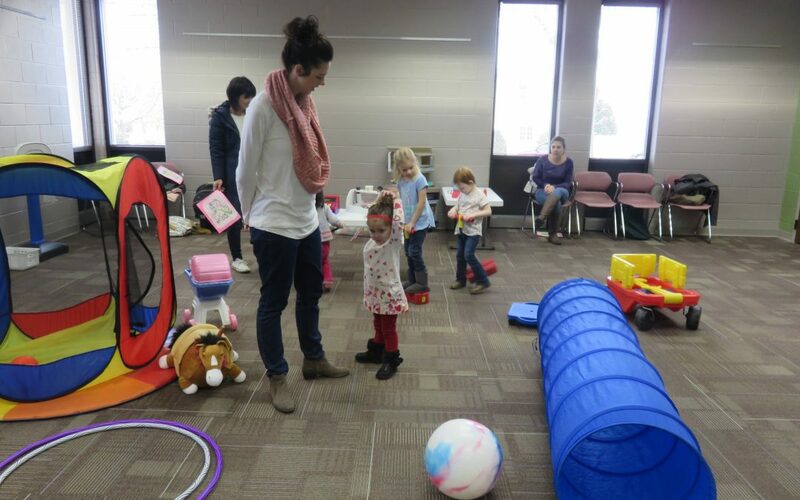 Playtime @ the Library is a monthly program for children ages 18 months to five years old. This two-hour drop-in program features a large selection of toys and activities that encourage unstructured, creative play. Our monthly Lego Saturday program invites children and families of all ages to stop by and build their own Lego creations with friends. We provide Duplo Blocks and Legos, and we also provide a different theme every month. All week long we offered a StoryWalk® where participants walked around the library, reading a story as they progressed. 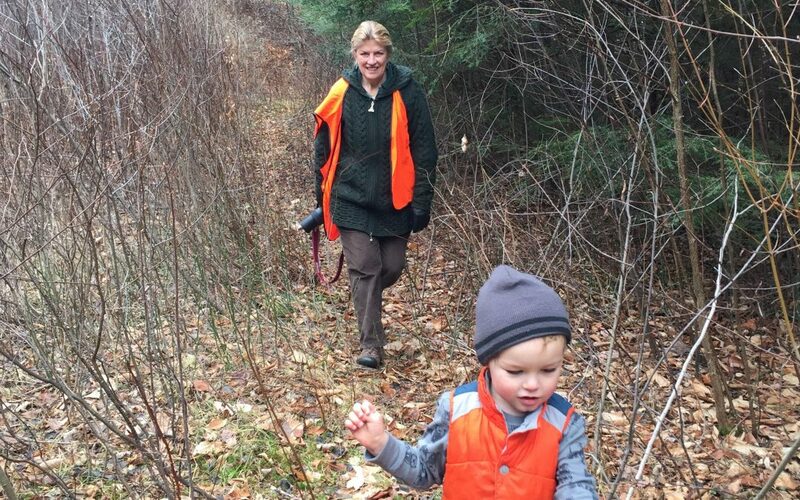 The StoryWalk® Project was created by Anne Ferguson of Montpelier, VT and developed in collaboration with the Kellogg Hubbard Library. Also, different craft projects were set out on the tables in the Junior Department and rotated daily. During the week, the library displayed relevant books for parents such as Unplug Your Kids: A Guide to Raising Happy, Active, and Well-Adjusted Children in the Digital Age by David Dutwin, and picture books for kids such as Hello! Hello!by Matthew Cordell. We printed up a list of screen-free activities and a book list filled with more screen-free ideas. By far the most fun activity to plan was the “Are You Smarter than a Librarian?” trivia contest. We made our own PowerPoint with five different rounds of five questions and a bonus round question. When the game ended, teams that had more points than the librarians won a small prize, but more importantly, they could now brag that they’re “smarter than a librarian!” Categories included “Songs from Movies,” where we would play a short music clip for players to guess which movie it came from. Another round was “Fun with Words,” and the bonus round consisted of pictures of 25 book characters, where teams had to identify as many as possible before time ran out. We realized that because our library has a special place in the lives of local families, we could bring families closer together by offering fun, meaningful activities that don’t involve technology. If we encouraged just one family to put down the screens and engage in some fun family time, then we consider Screen-Free Week 2018 to be a success! In this blog, pediatrician Mark Bertin, M.D. describes how screen time affects children’s development and why parents should embrace screen-free time. Parenting often has less to do with knowing what to do but doing what we know. Whether it is healthy eating or getting kids to bed on time, we have clear ideas about what is best. It’s making the right thing happen that’s hard. This discrepancy becomes more complicated when it comes to technology and screens. We have at least a vague sense the situation may be less than ideal, as we watch a generation become more attached to time on screens and less to time with people. There’s also confusion about what parents should or shouldn’t do or how much and which kinds of screen time are truly harmful. That ambiguity leads to doubt and makes it easy to get caught up in habit. We let routines drift instead of taking stock and making intentional choices. During Screen-Free Week 2019, you can hit reset and check in with your values. Technology isn’t inherently good or bad – it’s about how we use it. Take a short break to reassess and readjust where you see fit. Wake up, check in, and make an active choice about how your family should live. To be blunt: Strong parental management of screen time correlates with better behavioral, social and academic outcomes in children. Consistent sleep and exercise paired with less screen time also improves overall cognitive functioning. Children require guidance from adults to grow healthy and strong. Why is that true? Executive function is a set of cognitive abilities acting as our ‘brain manager,’ which are used to monitor our behavior, make plans and stick to goals. These include life-management skills, the ability to plan, and the ability to exercise judgment. It is a path of development and much like language, only begins to grow in early childhood. Unlike language, executive function does not fully mature until our late twenties. Early childhood measures of executive function amazingly relate to adult well-being, influencing relationships, jobs and health. Children with advanced executive function in childhood do better both behaviorally and academically. And while executive function develops at its own pace, it’s also true that environment can negatively impact its progress. Which brings us back to screen time. Largely because of executive function, children lack the perspective to fully anticipate the future and moderate their behavior. Room to learn through trial and error has its place, but much of education stems from what adults directly model and teach. It is no surprise this generation has been shown less active, less fit and less happy than previous ones. Lots of kids living with excessive screen time will do that. Resisting technology-saturated childhood is not an older generation pushing back against change. Research already shows that too much screen time influences children for the worse. In truth, too many of us shrug this off. Children rely on adults to set boundaries and to provide teaching and advice. We all want our kids to be happy and successful. Going with the flow around screens may seem easier and cuts down on family debate. It frees up time when our children entertain themselves for hours on end, too. And yet, you can believe that nagging feeling that less screen time would be valuable for your children. With only so many free hours, who should decide how many are spent on screens – you or some company? Smartphones and video games use proven psychological techniques to influence behavior, which is why nearly everything we do on a device is tracked. If that process didn’t work, it wouldn’t be financially lucrative. It takes effort and maturity to step back, take note, and choose when and where screen time is OK.
Screen time influences development by replacing healthier activities. For starters, it erodes two educational foundations, unstructured play time and reading. Everything from reading to art, exploring the yard to making up a game, takes more effort than time on a screen. Increasing screen time has also been linked to worsening attention spans. The list of evidence continues into much of child health, as research connects excess screen time to sleep troubles, less exercise, obesity, mood and more. That sense you have that a child on a screen seems disconnected from actual people – that’s often real. Research verifies what seems like common sense, such as studies showing that background television and smartphones both limit conversation. Teens who spend more time on social media are at risk for jealousy and depression. When the power goes out, stories follow about rediscovered moments with board games, or time cuddling together on the couch reading by flashlight. Technology can help us connect, but is that how your family uses it most of the time? A sense of reconnection with the world around us is obtainable at any time we choose – if we choose. Unplugged, we engage differently with people, and fill our time with creative and mentally active pursuits. 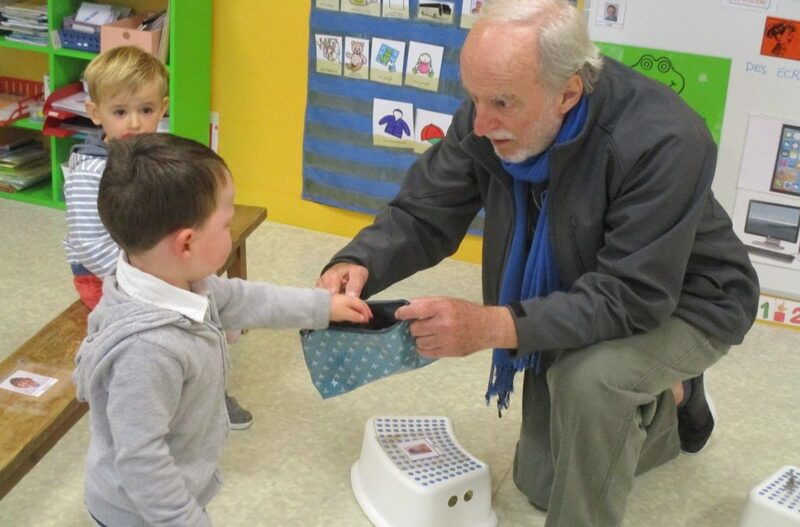 As little as one week off screens has been shown to improve social emotional skills. It’s hard, and it’s an adjustment, and kids push back – but we can regain control of technology. For modern families, little is more important than making sure your children use technology instead of being used by it. The whole concept of a week screen-free may seem extreme. Why abstain? But it’s free, only a week, and you’ll learn so much. Hard as it may be to consider – and harder still to implement – you and your children will almost certainly benefit. Trust yourself and create balance for your family moving forward. You want resilient and successful children. For that reason alone, it is vital to remain truly connected with open-ended free play and personal relationships. These foundational activities directly support healthy brain development. Whether wrestling with weight issues, school troubles, overall unhappiness or poor behavior, we often overlook one simple first step: without you, your kids’ well-being easily gets undermined by over-reliance on screens. In our tech-saturated world, involved parents steer children towards what they need to grow. It may start with one week, but can include screen-free family meals, one day every weekend, vacations, or device-free summer camps. Starting now, rediscover your own best intentions around a balanced and healthier lifestyle for your family. 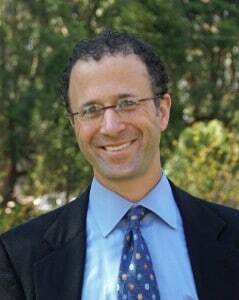 Dr. Mark Bertin is a developmental pediatrician and author of How Children Thrive, Mindful Parenting for ADHD and The Family ADHD Solution, which integrate mindfulness into the rest of evidence-based pediatric care. Dr. Bertin is on faculty at the New York Medical College and the Windward Teacher Training Institute, and on the editorial boards for Reach Out and Read and Common Sense Media. He is a regular contributor to Mindful Magazine, and his blog is available through mindful.org and Psychology Today.